Innovation is about dreaming up great ideas that change the world. To encourage innovation in Jersey we need to create an environment that allows those ideas to be turned into reality. More innovation in Jersey will raise the standard of living, and when we can turn ideas into exportable or globalised services, we can have a greater impact on the world than the geographic size of our island would suggest. Innovation is nothing new in Jersey: it’s in our blood. Take for example one of our most famous icons, the Jersey cow, which was continually improved by innovative Jersey breeders. In the early part of the last century, our distinctive brown cow was identified and recognised as the most efficient convertor of food to milk. This innovation secured jobs and prosperity and self-sufficiency in Jersey. But more than that, its export in both live form and, subsequently, in the form of genetic material has transformed and improved the lives of hundreds of thousands of people around the world. While not being the only animal that has been capable of producing high-quality milk, the Jersey cow is unique in being able to live in all sorts of environments. Today, the Jersey cow is still fulfilling its promise in Rwanda through innovative aid that is being designed, overseen and implemented by a Jersey team. The Jersey cow is an example of innovation, of creativity, of the drive to improve something and to make it happen. Over the centuries, Jersey has done this in a number of different areas, from cod fishing to boat construction to hospitality and, most recently, in financial services. My ambition is to be nothing less that the most innovative small state in the world. The Innovation Review was published on 11 September this year and contained 33 recommendations to drive forward a new and invigorated innovative strategy for government. Implementing the recommendations has the potential to make a meaningful difference to jobs and growth in the future. The report, ably written by Tera Allas, set out what we need to do to change things. A prerequisite of this is having a belief that innovation can and will raise our standard of living, generate new and exciting jobs and opportunities, and lead to greater potential prosperity for all. In acting on the recommendations of the review, we need to create a culture where we celebrate innovation. This will be the key to securing our future in what the UK Prime Minister describes as ‘the global race’. It requires joined-up, coordinated action – and a combination of talent, money, knowledge assets, the business environment and science and innovation policies. We need to know for certain what success looks like: it means new ideas being generated and being turned into reality, into real new business opportunities, and not just in one sector, but in all sectors of the economy. In particular, we need to embrace the huge potential for the digital sector to be the source of game-changing, productivity-driving creative solutions. The reason why this matters is simple: if we succeed in this important area, we are much more likely to be in a position to deliver the kind of jobs, growth and productivity that will be required to raise living standards in Jersey. Innovation across all sectors in Jersey should be at the top of boards’ and business owners’ agendas. The report clearly explains why innovation matters, and why government has a role to do everything we can to spark the innovative Jersey spirit. This is the same spirit that got us to where we are today and it will continue to be what allows Jersey to punch above its weight far into the future. I made an undertaking to Tera Allas, the report’s author, and to the highly-engaged audience who took time out of their busy schedules to attend the presentation, that this report will not be one of those that gathers dust. 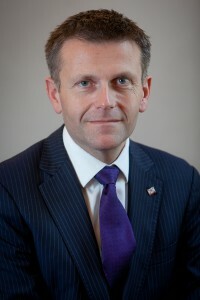 In fact, even before the publication of the report, work was underway and an implementation team was being established under the guidance of our chief economic adviser, Dougie Peedle; our economist, Greg Boyd; our lead policy adviser for digital strategy, Lloyd Adams; and the executive officer for the Jersey Innovation Fund, Alistair Blair. The team’s first task was to meet Tera’s recommendation to develop an action plan by the end of the year. I’m delighted with the progress that the team has made and that a draft action plan has been published today, 20 November. The team will welcome comments from the public about the action plan, and I very much hope that there will be huge encouragement and support for the hard work that has already been done to implement the recommendations. I am also encouraged by how effective the partnership approach is proving to be, with the action plan being the result of cooperation between more than ten partners inside and outside government. A key example of this is the proposed action to meet Recommendation 6, which will see government working with Digital Jersey, Jersey Business and the Jersey Financial Services Commission, in consultation with the private sector, to identify and address any barriers to innovation. This is just one of many streams of work that spans a wide range of areas, including our education system, our migration policies, regulation, and collaboration. Comments on the action plan should be sent to innovation@gov.je no later than 2 December 2015, or responses on Twitter are also welcome, using #JsyInnov. A final action plan will then be developed, taking into consideration comments received. From then on, interested parties will be able to track the progress of the plan online. To start the discussion, I will be undertaking a Q&A session today (20 November 2015) between 12:00 and 13:00, using #JsyInnov.